History was made this week in Las Vegas and across the United States in the most terrifying and horrific manner. A first for Las Vegas and the worst in the United States. 58 people and a deranged gunman lost their lives in the worst mass shooting to take place in U.S. The selfishness of the event has left people in a state of bewilderment and deep sadness for the loss of life. I originally grew up in Las Vegas. I have visited the Mandalay Bay Hotel many times, enjoyed dinner in its restaurants, attended tradeshows in the conference hall. The shooting was of particular persuasion to me. We reminisced about the hotels at the corner of Tropicana Boulevard due south, home to arresting concepts like the New York New York with its mashup of iconic Big Apple buildings, and the pyramid-shaped Luxor, Las Vegas’ mythical reenactment of the timeless Egyptian landmark a bright strobe of light shooting into the sky from the pinnacle. The response to the gunfire was “frantic switchboard calls” and what The Washington Post called a geometry of fire. Could UAVs been used to supress the carnage of the Las Vegas shooting in some magical way? A few in the media have begun to debate this very question. Law enforcement prefers to deliberate behind closed doors, as they should to keep as much of a preemptive advantage as they can. The future of Counter-UAS may boil down to scenario planning, surveillance, anticipation, and vigilence mixed with hard-nosed investigations. There is no panacea to terroism. Without Reading The Enemy’s Mind, a lifelong pursuit of my cousin Paul H. Smith, it will be relatively impossible to preempt terrorism before it happens. On the frontline of this tragedy is FBI agent Fred Bradford who serves out of the Las Vegas branch. “I’ve had better weeks,” he told me, a solemn reverence in the sound of his voice for the indelible meaning of this week’s events. It sounded like he had been kicked in the chest. When I met Fred at the FBI’s booth at InterDrone last month, his demeanor was filled with excitement for the Bureau’s use of UAS technology in its investigations. This certainly wasn’t the same man I met. 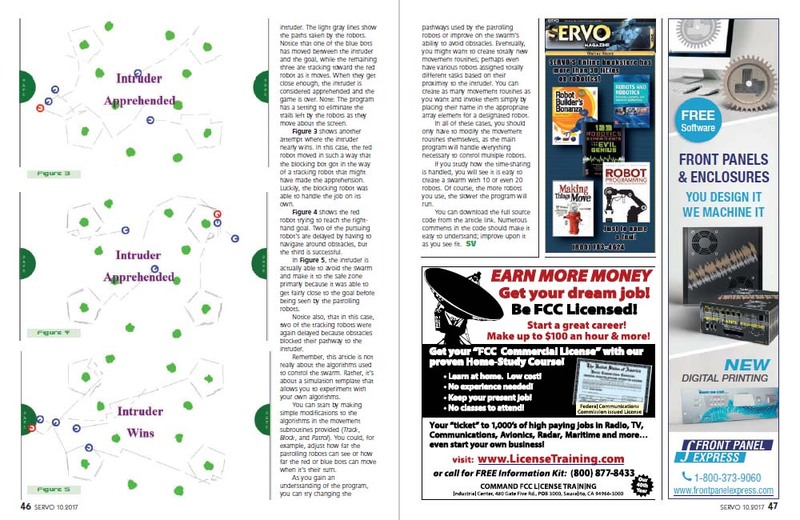 “We were set up as an exhibitor at InterDrone as part of an expanding FBI private sector outreach program directed at industries/technologies we know to be heavily targeted for intellectual property theft and other economic espionage activity by hostile foreign government intelligence services, their proxies, and other foreign actors,” said Agent Bradford for this article. Along with cyber terrorism, Counter-UAS is one of our most pressing tech issues, and certainly a dominant concern for companies in the commercial drones industry. It will be a timely consideration for lawmakers, manufacturers, and service providers in 2018, and not just in the developed world, but everywhere. There are a handful of C-UAS solutions and vendors and there are a few buyers. What’s the outlook for Counter-UAS in 2018? Last week, prior to the Las Vegas shooting, FBI Director Christopher Wray warned an exasperated U.S. Congress panel of the impending threat of terrorist groups using drones against America within the continental United States. “I think we do know that terrorist organizations have an interest in using drones. We’ve seen that overseas already with growing frequency. I think the expectation is that it’s coming here imminently. I think they are relatively easy to acquire, relatively easy to operate, and quite difficult to disrupt and monitor,” argued Director Wray. “I am a bit jaded by my experiences flying against C-UAS systems. Its an uphill battle,” admits Dr. Scott Crino, Founder and CEO of Red Six Solutions, a DC-based strategic consulting firm which offers “over-the-horizon insights into imminent threats that can significantly impact (the) future.” With over 21 years of military service as an aviation and operations research and systems analyst, no understands the imminent threat of drones better than Scott Crino who dissects threats all day. “From a threat perspective, which is my company’s focus, the gap between the nefarious ways sUAS could be used and what has already been demonstrated overseas is closing quicker than our ability to defend against them,” he mentioned. In other words, the enemies and threats will (have to) get smarter. They may not be able to compete at the same speed and seamless integration of a Silicon Valley startup, but with determination, tech can and will be modified. Now that most commercially available drones come with web-enabled capabilities, assuming these devices will carry explosives is only one of several terrorist drone scenarios in deliberation. The most dangerous questions about terrorism and drones sound the engineering know-how of the modern terrorist group. Are terrorists experimenting with sUAS in a controlled environment, running models and probability assessments? And one thing we know about terrorists, when they are determined, they can achieve almost anything. The 9/11 all attended flight training in the United States to learn how to fly commercial aircraft. The most recent infamous terrorist scoped out other music events like Lollapalooza in Chicago among others until he found one that fit his evil designs of death and destruction. Terrorists will do just about anything to win. The recent movie Patriot Day is about as up-close-and-personal as it gets for good people to see how low bad people will go when insanity takes over. Let’s hope some lunatic movie studio doesn’t torture the world with a reenactment of this tragedy, but insanity and selfishness runs far and wide. 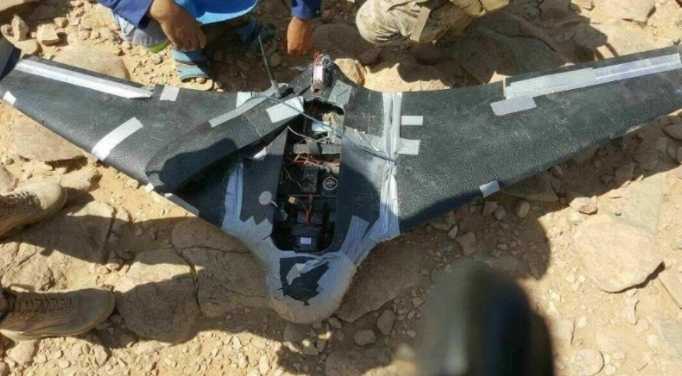 I had no idea the news of Houthi rebels using drones was such a big news story. Brandon Sasnett, Director of UAS Threat assessment for TechINT Solutions Group posted the following image and caption to Linked-In in September, revealing that sUAS is in fact being modified on the battle field to fight U.S. forces. For most of these groups and because of necessity, the battle field is the research lab. Worse still is UAS and satellite technology winding its way in the hands of nations who may use it for nefarious purposes like North Korea. Active unmanned and satellite programs have been reported in Pakistan, Turkey and Iran. Pakistan is said to be on its 5th generation defense drone with a medium-altitude, long-endurance UAV. If you’re a nation without a drone and satellite program you’re not a high tech player on the world stage. Many countries have launched satellites for communications, mapping and other applications. With all its economic instability, even Venezuela has launched its own remote sensing satellite called the VRSS-1. Counter-UAS may only be a fraction of a counter initiative needed. “Counter everything” may be the best and only effective strategy. Early to late generation Predator technology is available to the highest bidder. When a high tech drone company says they’ve sold drones to a “secret buyer”, they mean they don’t want the world to know who, and who could mean anyone. Who knows? We can only assume that revolutionary UAV defense technology will fall into the hands of bad people with bad intentions, another reality of the brave new world we live in. Freedom is tied to responsibility, but even publishers (filmmakers, et al) don’t respect the sensitivity of knowledge. Once it is trapped inside the mind of a terorist, anything bad can happen. As we learned this week, terrorists hide among us, in the shadows, or even right next door. Washington D.C. is at the center of the Counter-UAS movement and at the center of the action is Rob Thompson. 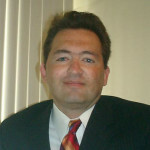 Mr. Thompson spends his days advising the Senate and Congress on C-UAS trends and technologies, as well as business leaders on threat assessments. According to Thompson, new legislation for counter-drone technologies is going through the approval process in Washington. Several agencies are involved besides the FAA, including the FCC, Department of Defense, and the Department of Homeland Security. All are involved in establishing a first-response to the looming threats at home and abroad. Because of the overwhelming demand for industry awareness, education and C-UAS represenation in DC, Mr. Thompson founded the C-UAS Coalition, an industry trade group which advocates for public affairs and policy advancement of C-UAS technology in Washington. Thompson believes the global model for effective Counter-UAS is Australia which has a organized a concise regulatory framework for working with drones and counter-drones. Thompson believes the U.S. needs to model the advances of Australia and go beyond as soon as legislatively possible. At the moment, many of the C-UAS solutions we featured in our original article are illegal in the U.S. Not so in Australia which follows a strict mandate for drone usage. Australia is the home to many C-UAS innovators including DroneShield, a company we featured in our first anti-drones article. DroneShield is led by CEO Oleg Vornik, a passionate and energetic corporate leader and advocate of C-UAS technology. 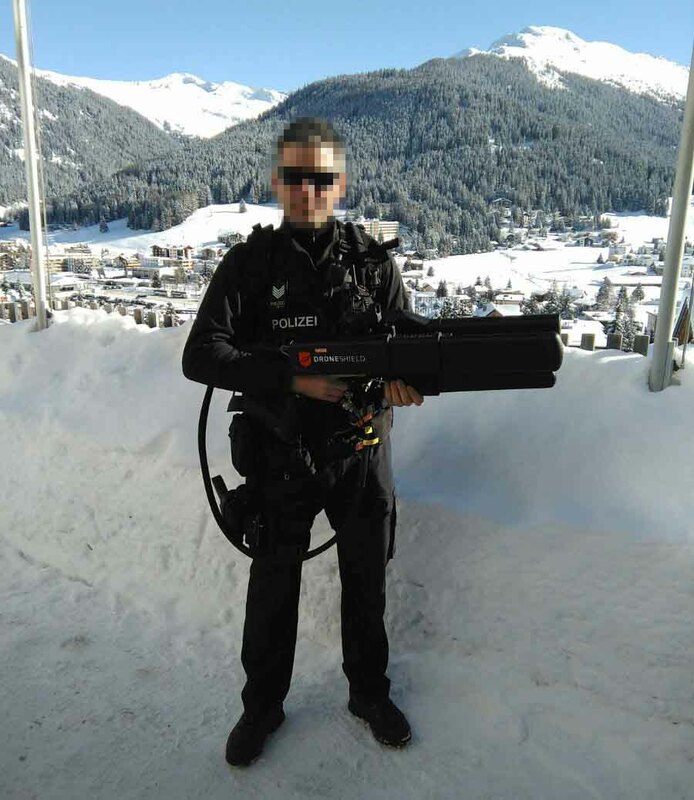 DroneGun was used this year by Swiss Police at the annual Davos conference. 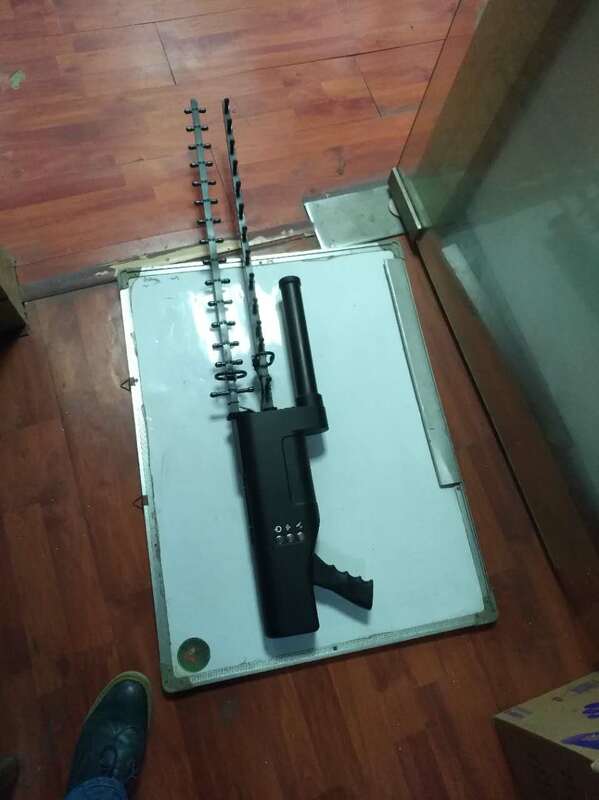 Swiss Police used the DroneShield DroneGun to protect event attendees from drone threats. “Swiss Police deployed DroneGun in Davos at the World Economic Forum this year as they were concerned about drones presenting a privacy and security breach to the delegates (including heads of states) and general public, with a very favourable feedback following the event on the technology,” Vornik mentioned. Where there is growth, there will be flattery. “As the industry continues to be trending, there are a lot of cheap knock-offs and imitations (as per my comments below), so its important for customers to stick with suppliers they are confident in,” said Oleg Vornik. I understand this first-hand. A few weeks ago, I received a marketing e-mail promoting “UAV interception system” from an international company I had never heard of, without a website, and whose product looks suspiciously like others on the radar. No harm, no foul, until a knock-off blows up in your face. DroneShield wasn’t the only Counter-UAS provider protecting this year’s World Economic Forum. Dedrone was there with DroneTracker, a combination of sensors, cameras and jammers. This is only the beginning. At the top of the global food chain for C-UAS will be the perpetual need to protect business and government leaders from drones at major global events, government buildings, even their residences. 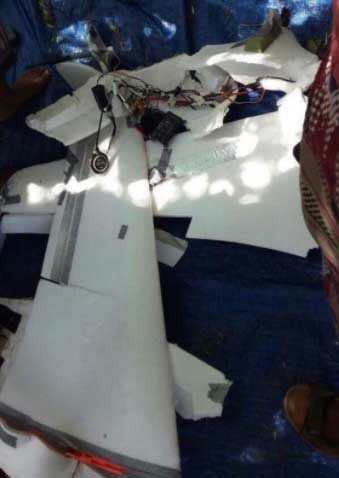 Incidents involving world leaders and errant drones have mounted and have included the Prime Minister of Japan, the President of Germany, and many instances of drones flying and dying over the White House. Companies with real solutions and proactive marketing like DroneShield, Dedrone and others, should expect a winfall from the hysteria and potential threat sUAS brings to world leaders and special events for a segment of the unmanned industry that is projected to top $2 billion (US) by the year 2024. “There will also be an evolution of dominant brands in the counterdrone space including a heavier involvement from the defence primes. DroneShield is a pre-eminent global leader in this space, however the industry generally remains fragmented. We expect a greater participation from the primes, particularly with linking into alliances with smaller players in the industry. And, swarming. Any kind of detection and countermeasure system needs to be able to deal with a large amount of drones coming from multiple directions simultaneously,” he continued. On the battlefield, the U.S. military isn’t waiting for others to find usable solutions to ISIS using drones to attack U.S. forces. Despite the rush to research, American military forces have started their own research. The U.S. military has deployed a C-UAS task force throughout the Middle East to detect enemy drone threats and analyze various methods for how to respond. Organized in 2016, it’s called the Special Purpose Marine Air-Ground Task Force Crisis Response-Central Command lead by Colonel William Vivian. Its a unit of 2,200 troops which revolves in seven months Mid East rotations. The primary mandate of the Task Force is understand enemy drone threats and pinpoint defensive conclusions. While the task forces does not engage in practical field testing, but, as mentioned, the battlefield is the research lab in today’s modern conflict. The Task Force uses Battelle’s DroneDefender and signal jammers. Back in DC, research continues unabated on C-UAS solutions at facilities such as MITRE and DARPA. In August, DARPA laid down the gauntlet by inviting Counter-UAS solutions to specifically protect U.S. forces against sUAS. One DARPA official, Peter LeHew, speaking on behalf of Adaptive Execution Office (AEO) for Trenchant Analytics, sees the U.S. policy limiting the scope of C-UAS response for federal law enforcement. Previously, LeHew was Director of UAS for Aurora Flight Science, last week’s Boeing acquisition. The thing on LeHew’s mind right now is protecting U.S. troops in moving vehicles from enemy drones. “Our focus is to shift from protecting static sites to mobile sites like convoys, boats and aircraft. This is one area with significantly less work has been performed. The threat to aircraft keeps me up at night since this is a significant asymmetric threat — easy to do, hard to defeat,” he said. Back in 2011, U.S. government contractor MITRE sponsored a competition to determine the most useful and accurate methods of countering sUAS. Called the MITRE Challenge, the competition invited a slew of innovators at the time which were, 2011, truly on the cutting edge. Six years have passed since the first MITRE Challenge, and all of the competitors are no where to be found. Unfortunately, the first MITRE Challenge was also the last. What I’d like to see is MITRE and DARPA join forces on a SpaceX, crowdfunded competition for Counter-UAS with a $1 million prize for the best C-UAS solution that can simultaneously take out drones of any size and terrorist shooters. Sadly, cooperation involving R&D, with so many dollars to be had for individual groups, is impossible. Imagine a persistent mechanical buzz descending into your community. You can hear them but you can’t see them because of the blanket of night. As the episode of National Geographic describes, one of the most frightening scenarios involving drones may become swarms of them, groups of synchronized drones working together. We can only hope there will never come a day when the most horrific sound a community can hear is that of a swarm of drones entering its boundaries knowing what they are capable as a team. Whether by air or even by foot as was implied in the movie Minority Report, swarms are a reality and will become one of the critical profit centers for makers of unmanned vehicle technology in the future as two drones are always better than one, especially if they are united and synchronized. However, swarm technology will ultimately find its way in the hands of the enemy. Technology is readily available to all of us. Anything that can be created for defense can also be used for offense. With a few searches on the web, knowledge can downloaded and learned without breaking a sweat or going into debt. 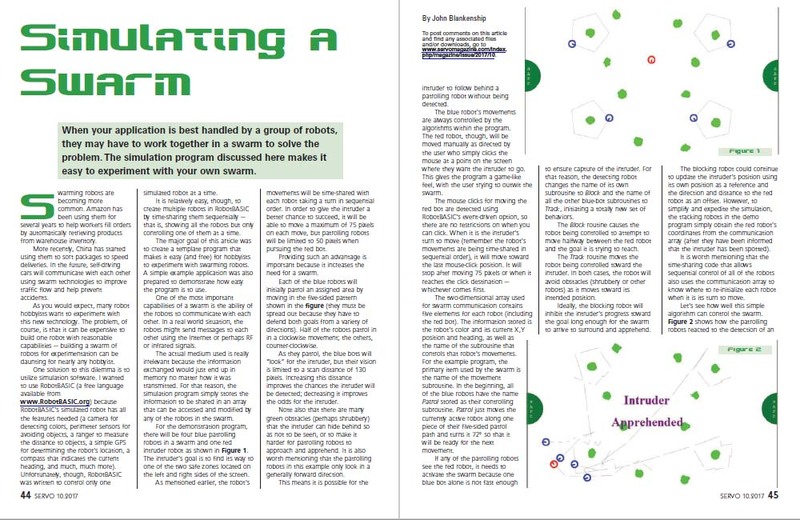 Case in point, the October 2017 edition of SERVO magazine where among the pages is found an article entitled, Simulating A Swarm. We have only witnessed an iota of the possibilities of the swarm of drones. Intel has given us a glimpse of their potential with a charming swarm light show. It’s cute and certainly technologically miraculous, but we believe decision makers should decide to get ahead of swarm technology before it trickles down to the terrorist groups and ignorant individuals. A one-time Counter-UAS research competition will not suffice. The dynamic world of drones is shaping up much like the translucent realm of spies where we have no idea if the mundane robot dumping your trash will turn on you without warning because someone else, not you, is at the controls. The need for Counter-UAS exists not only on the battlefield, but also on our streets, public venues, penitentiaries, and perhaps even our schools and learning institutions. The day is soon approaching where wherever there is a drone there will be a need for a counter drone. What will happen when the drone maker flips the switch on your drone so you lose control and they assume control over your device? That scenario may have been inadvertantly discovered when DJI sent a veiled threat to its customers when it demanded operators to upgrade the firmware of their DJI drones or risk losing the ability to fly them entirely, and in the process opened a can full of national security implications. Some in the drones community I spoke to were worried about millions of DJI Internet-enabled drones suddenly remote controlled by DJI over the Internet, from the DJI headquarters in China. Science fiction? I didn’t fathom such an implication until someone else brought it to my attention. Unfortunately, its hard to remain objective amid tragedies such as the one which occurred in Las Vegas. In this new age of interconnected drones, their ease of access and hackability, establishing standards for their un-use is now an actionable priority for everyone including the FAA, AUVSI, DJI, Intel, and lean innovators. Let’s continue to set aside the unquenchable thirst for commercial conquest to help protect law enforcement, military forces and our communities. Instead of another use case (We don’t need another use case! ), we need a serious, industry-sponsored un-use case, cooperative research initiative to clearly detect the threats, vulnerabilities and scenarios from a perspective of everybody. The most important thing I learned constructing this article is that there are many smart people working on the problem, and there are several valid solutions. Cooperative, unified research may be the unmanned industry’s best defense. I also learned that the dedication and resourcefulness of law enforcement and military professionals is an inspiration to us all. I believe they deserve our support wherever they may be serving in defense of our freedom.